More space, less cost. Although the upfront cost is expensive, it is typically cheaper to build an addition than purchase a new home that already has the space you need. Adding space to commonly used living spaces can be extremely beneficial. Room additions are best. When thinking about building an addition, you should utilize your resources wisely. 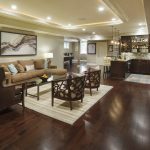 Finished basements are an option, however, it depends on what type of basement you have. If your basement has no windows, you might want to add on a room instead. Something to consider is adding a room onto the house takes away some yard space. 100% creativity. Adding onto your house enables you to create a personal touch to your home. You are in control of what the space looks like, from start to finish. Add value to your home. Adding space to your home could increase the value. If that is your goal, it’s important to do some research beforehand. Luxury living. Creating additional living space allows you to add luxurious items. If you’ve always wanted his and her sinks or a bathtub and master closet, an addition will provide that for you. 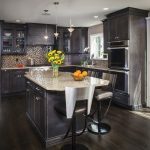 Creative Design Construction & Remodeling understands that it is a big decision to add onto your home. We have a solid reputation in Bergen and Rockland County for our unparalleled attention to detail. Our experience guarantees that your needs will be met for years to come. Contact us to find out how we can help you build a home addition.